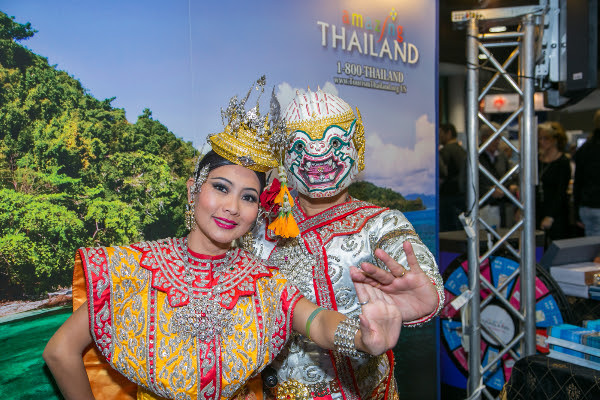 (LOS ANGELES, CA) – Tens of thousands of travel enthusiasts will once again be inspired by the sights, sounds and culture of faraway destinations from across the globe as the nation’s largest consumer travel show returns to the Long Beach Convention Center on February 21 and 22. 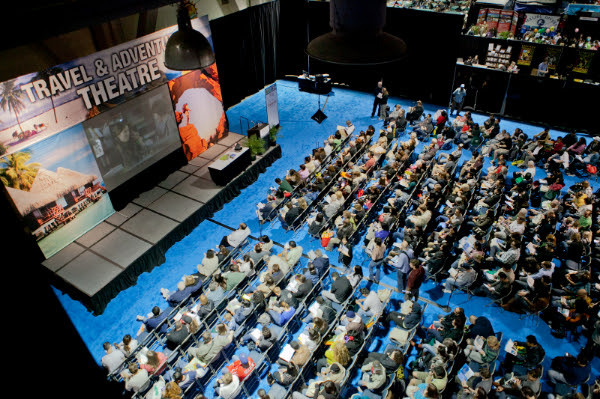 Strategically located between L.A. and Orange County, the 10th Annual Los Angeles Travel & Adventure Show will feature a greatly expanded show floor, new features and speakers and a plethora of first time exhibitors. Over 3,000 local travel experts from around the planet will man the exhibits to meet one-to-one with Angelinos looking for their next vacation – be it a weekend getaway, or an exotic international adventure. Over 30,000 travelers are expected to attend throughout the weekend.Named one of Southern California’s top trade shows by BizBash, the event will feature hundreds of exhibiting companies and countries representing some of the world’s most sought-after destinations, tour offerings and travel experiences. The Los Angeles Travel & Adventure Show promises a weekend of discovery and inspiration to help travelers “dream it, plan it and book it”. Event attendees will be able to shop exclusive travel deals, attend travel seminars on three educational stages and meet prominent travel experts. The Los Angeles Travel & Adventure Show will also feature the largest group of celebrity travel personalities EVER assembled for a consumer show of this kind. Speakers include The Amazing Race Host, Phil Keoghan; travel icon and television personality, Peter Greenberg; Travel Channel hosts, Samantha Brown and Josh Gates; award-winning television personality and author, Rick Steves; Host of the PBS series Joseph Rosendo’s Travelscope®, Joseph Rosendo; and Editorial Director of the iconic Frommer Guides, Pauline Frommer, among many others. At the Los Angeles Travel & Adventure Show, attendees will find thousands of destination experts to help plan and customize vacations and give inside knowledge to help attendees travel like pros. Exhibitors will be available to give attendees details about travel and tours to destinations from around the world including Costa Rica, Europe, India, Mexico, Australia, Ireland, Japan, Hawaii, Africa, Turkey, Thailand, and Alaska – all offering exclusive specials and trip giveaways. The event’s national TV media sponsor is Travel Channel. Supporting sponsors include Rick Steves’ Europe; Taiwan Tourism Bureau; Indonesia; and Yosemite/Mariposa County Tourism Bureau. Contributing sponsors are Japan National Tourism Organization and Thailand. Other event sponsors include SunsetMagazine, AFAR magazine, Jetset Extra, and Los Angeles Consortium of Online Travel. This year, the show has attracted an array of new exhibitors such as Sintra-Portugal Tourism, Collette Vacations, Tokyo Tourism, Cambodia Tourism, David McGuiffin’s Exploring Europe, and many more. 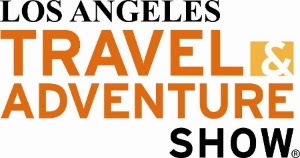 The 2015 Los Angeles Travel & Adventure ShowTM will take place February 21 and 22 from 10 am to 5 pm at the Long Beach Convention Center, located at 300 E. Ocean Blvd., Long Beach, CA 90802. Tickets are available now online for $11 for one day or $17 for two days (use promo code: LAPR). Children 16 and under are free. At the door, tickets will be available, cash only, for $16 for one day and $25 for two days. For tickets and information please visit www.LATravelShow.com, email info@LATravelShow.com or call (203)878-2577. UNICOMM LLC is an independent business-to-business communications company specializing in originating and managing world-class trade shows and conferences. 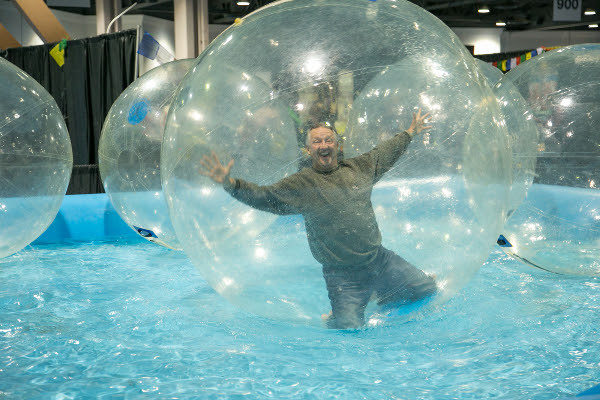 Unicomm’s properties include the nation’s largest and longest running series of travel events, Travel & Adventure Show® in Los Angeles, Chicago, Dallas, Philadelphia, San Francisco Bay Area, Washington, D.C. and San Diego. Oregon Truffle Festival’s Walk on the Wild Side!